As this mandala kept layering back and forth, going from light to dark and back again, it finally illuminated itself for me tonight. A face showed itself, hiding behind a layer that was made of flowers, looking at me from four viewpoints. I’ve been thinking of a young woman, barely known by me with just one meeting in the flesh, who was killed almost two weeks ago by a bullet…known by the name, Jessica Orozco. She walked the earth for just barely three decades. I see celebration gatherings popping up for her in several locations (in Arizona and California) with so many people wanting to honor her, celebrate her, mourn her and dance for her. I shower the beauty of flower petals apon her with this mandala. I pelt her with beauty and let tears water the way. 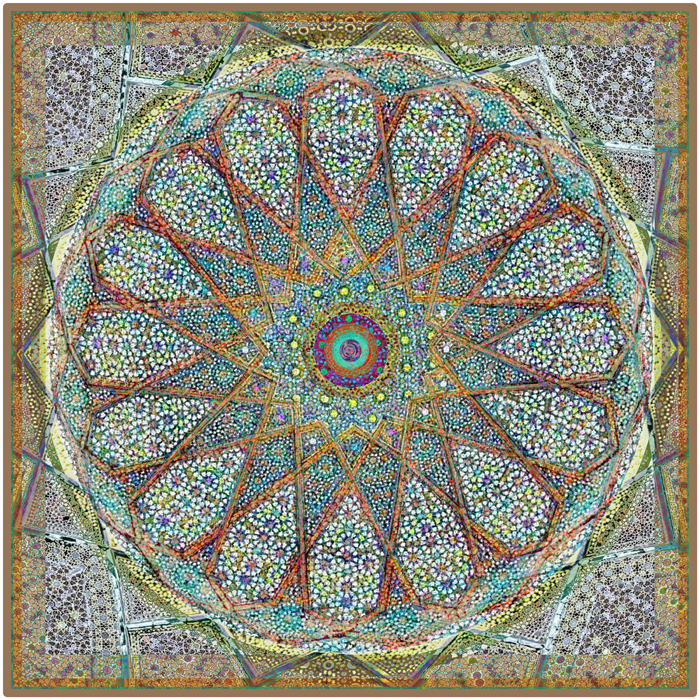 This entry was posted on November 8, 2018 by Elsah in Mandalas.